Elle Peterssen is young, wealthy, and beautiful — and there is a reason someone tried to kill her. Only, Elle doesn’t remember any of this. 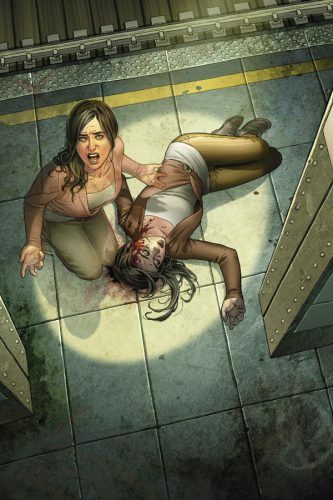 MIND THE GAP, the new Image Comics series by the Eisner Award-winning writer Jim McCann (The Dapper Men) debuting on May 2, is a mystery with a paranormal twist. Elle, in a spirit form detached from her comatose body, must not only unravel the mystery of her attacker’s identity and motive but her entire life as well. Between her family members’ and her friends’ perceptions of her, Elle can’t be sure which version of Ellis Peterssen is who she really was. But Elle must put together the pieces. Her identity holds the key to stopping her attacker before he can strike again. 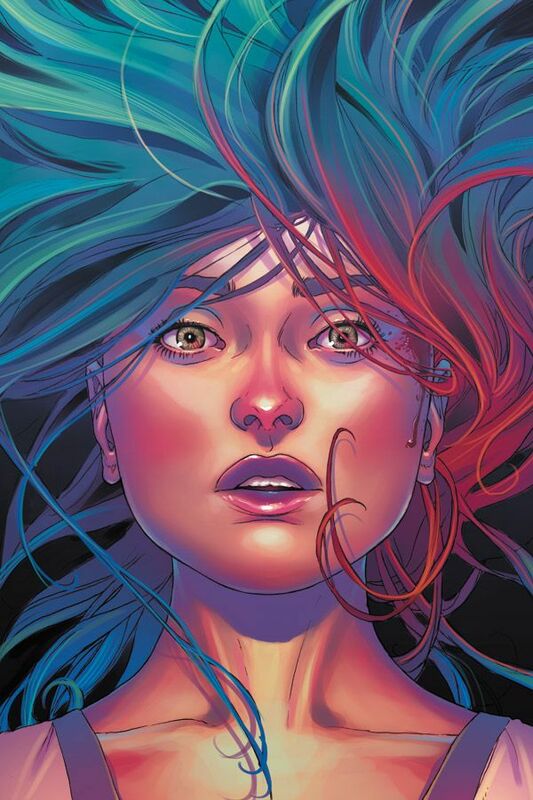 With gorgeous art by MORNING GLORIES cover artist Rodin Esquejo and colors by Sonia Oback, MIND THE GAP will trace the path Elle takes back to herself — and her would-be murderer. The art plays an integral role in uniting Elle’s disembodied experience and the real world, said McCann. MIND THE GAP #1 is a full-color 48-page comic book for $2.99 available for preorder in the March issue of Preview. It will be in comic book stores and digital platforms on May 2. A preview of the issue’s 9-page prologue ran in USA Today on February 22. Just wish to say your article is as amazing. The clearness on your put up is just great and i could suppose you’re a professional on this subject. Well together with your permission allow me to clutch your RSS feed to stay updated with coming near near post. Thanks a million and please carry on the gratifying work.